Set includes 10 different colors per pack. Made from 95% Polyester, 5% Spandex. Machine wash. Tumble dry. 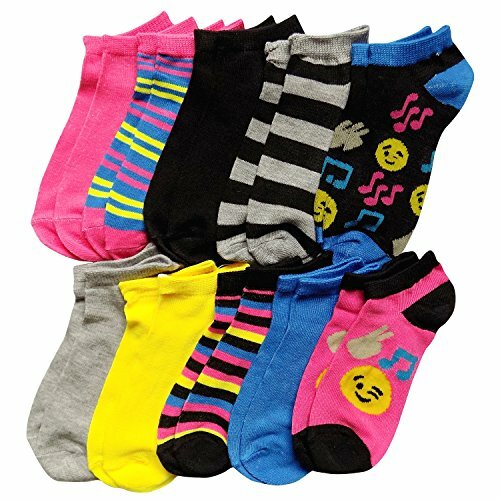 10 pairs of girls fashion ankle socks per pack as shown. Fits shoe size 10.5-4. Sock size 6-8. Ages 7-12. Perfect for spring and summer! Cute patterns that little girls love!